The SUPERBRAND SHAPERS COLLECTIVE A Super Brands nada mais é do que uma "cooperativa" de alguns dos melhores shapers do mundo chamada Shapers Collective. Este grupo de artistas trabalhando juntos e desenvolvendo novas tecnologias, resulta em alguns dos melhores shapes dos lineups no mundo. 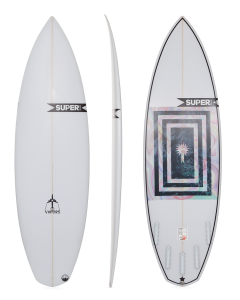 SUPERbrand tem um catálogo enorme com vários modelos diferentes perfeitos para os mais variados surfistas e ondas. Temos as versáteis SUPERvapors, SUPERcraft 2 as merrequeiras SUPERquadrofinia e a SUPERslug. As pranchas de performance incluem as SUPERtoy, SUPERanswer e a SUPERmodel perfeita para quando esta clássico. Essa colaboração de shapers com toda sua experiência e know-how faz da SUPERbrand um laboratório perfeito para o nascimento de novos shapes, materiais e tecnologias. Influências vem de todos os lados por ser um grupo tão variado de shapers fazendo dela uma marca de vanguarda muito moderna e completa. Dion and the Siemese Palm Viper. he tenido la portunidad de ver muchassuper aca en peru son buenasas. can you get any of the models without a spray? 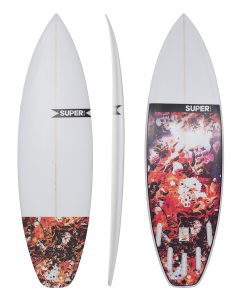 Just wondering if SuperBrand comes with free fins when you purchase a board? 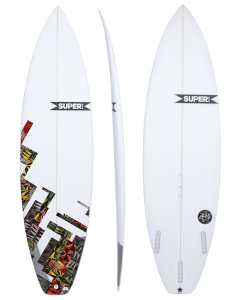 Hi Sukma, yes SUPERbrand boards come with Free Performance FIns. Ignore the pop up that says fins will not be included. Email info@boardcave.com.au if you have any other questions or need help with sizing. may i have you e mail id like to talk . The glass on it could be a bit stronger, I have hot a lot of finger prints on the bottom to my stunna!!! Apart from that its a excellent bord the reminds me a lot of a 6.4 DHD that i had back in 2002…. Hi there, I'm 5"10 78 kg intermediate riding the 5"11 Toy at 27:5lt. 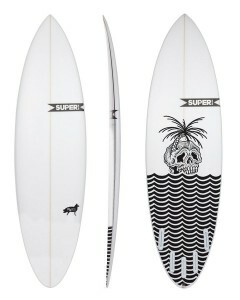 Looking for a little more tail response and suitable for upto double overhead surf! I'm thinking the Answer in 6"1 would suit? Also a fin recommendation to suit please? Hey Travis, If you like how your Toy works, I would stick with the 5'11 in the Answer. You are right, the tail is a little more pulled is, and the over-all outline is a little more refined for quick snappy surfing…plus, the board will handle slightly bigger surf a little better. Hi. 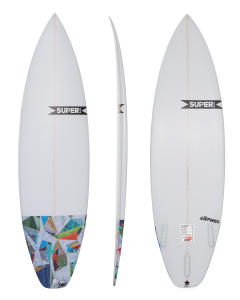 I am interested in an all around shortboard. I surf in Guam and we have fast hollow reef breaks. Usually 2-6 ft. 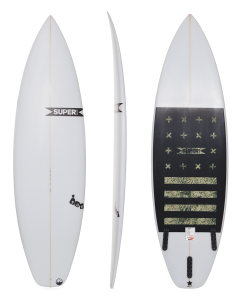 But will be traveling to Bali and California a couple times and would like a board that can handle bigger waves as well. I am 5'6 145lbs and intermediate/ advanced. 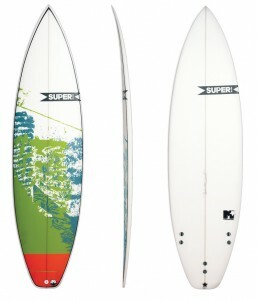 I have been riding a 6'0 sub scortcher its just too big for quick snaps. I am drawn to the answer and burnside. What are the biggest differences between these two shapes? Hi Megan, Both the answer and burnside models are great shortboards that work in the conditions you have described. Both these models are very similar with the burnside model ever so slightly more performance focussed with a narrower outline. I think a better option for you would be the answer model. I would recommend the answer in the 6'0 x 19 x 2 3/8 – 27.9 litres given that you're stepping down from a 6'0 x 20 x 2 1/2 – 32.1 sub scorcher.